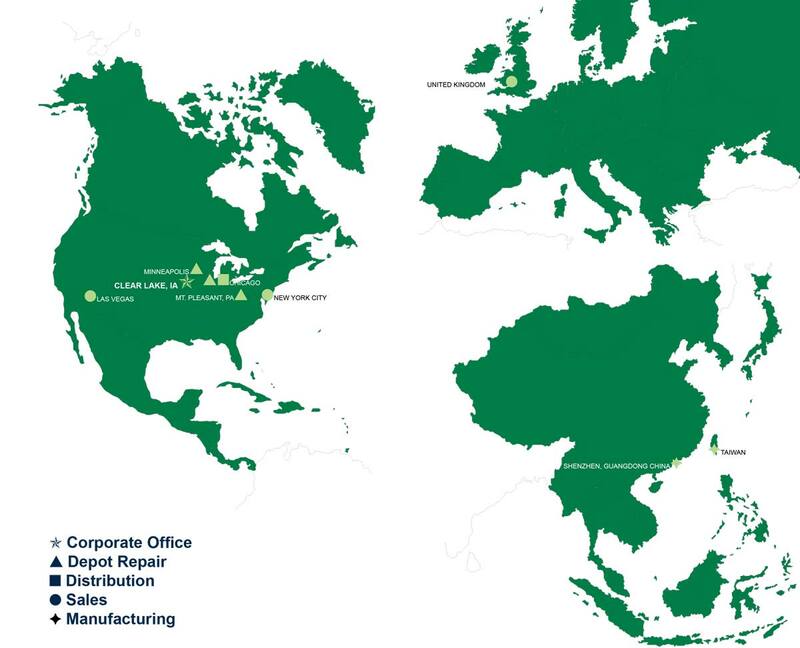 Our National Depot Repair Center are located in Minneapolis, MN and Pittsburgh, PA to provide repair services for existing and new retail, distribution, manufacturing and logistics (RDML) customers with legacy and new RF equipment. Our OEM-trained and certified technicians have successfully serviced over 750,000 depot repair incidents for OEM devices that include both new and legacy RF equipment models. In 2006 our customers began asking if we repair equipment that we make batteries for. Since then, we have rapidly emerged as the first and largest service alternative for Vocollect terminals, headsets and chargers resulting in 30-40% cost reduction in annual maintenance expense while extending indefinitely the useful life of the equipment because we design and manufacture our own parts and perform component level testing and repair from three U.S. based repair facilities. With Vocollect moving their U.S production and service to Mexico in 2016 we see our U.S. facilities expanding and becoming more useful to current and new customers. Forced obsolescence of existing hardware by most OEM’s just to sell new equipment is not well received by the marketplace because it conflicts with technology ROI strategies and depreciation schedules. Combined with limited enhancements in hardware and software functionality there are just not to many compelling reason to do an upgrade. 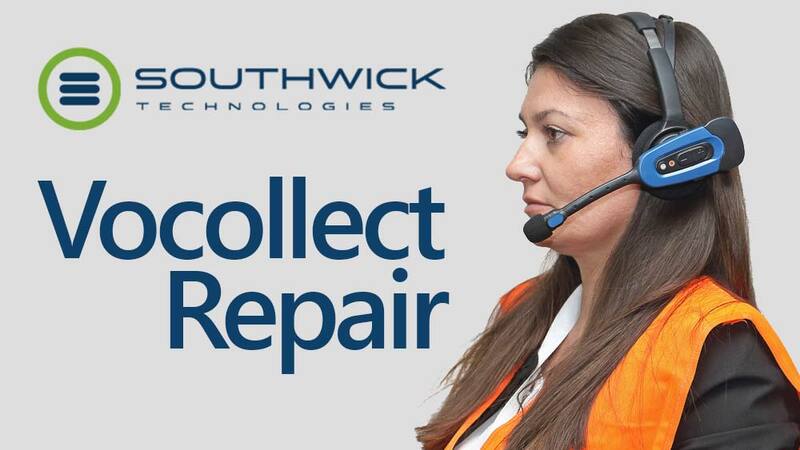 Keeping your current Vocollect system for a few more years with Southwick providing the lowest possible maintenance cost not only saves money but also defers millions of dollars of investment on the next system. When the time is right for your next generation voice system Southwick offers three unprecedented options not seen in today’s market at 30-70% less in cost then new and leverages from software you already have that operates on industry standard or non-proprietary hardware. Trade in your current system for newer, refurbished Vocollect terminals (T2X, T5, A500 or A700 series) that we will service while keeping existing headsets or buy new wired or wireless headsets. You will have to purchase the software from Vocollect separately. Compared to buying the newest A700 terminals we have learned from users that previous generations of terminals (T5 & A500) are more reliable because their main CPU board is a single main board when the A700 consists of multiple boards sandwiched together with several internal cables that when dropped or during normal has higher service incidents. If history repeats itself the A700 could be discontinued at a moments notice. Trade in your current system to choose from two different, industry standard, wearable computers from Honeywell (E70D) or Zebra’s (41N0) running either Vocollect’s latest voice software for order selection only or Wavelinks voice enablement software – SPEAKEASY that requires an RF scanning data base for order selection and to voice enable other business processes Vocollect does not. Existing headsets will work with these new terminals or new ones can be purchased. Southwick Technologies is authorized resellers of Honeywell, Zebra and Wavelink products. Regardless which option you choose it will lower cost substantially and give you desirable options you have never had before.